Are you sick of this long, cold winter? Are you eagerly awaiting summer’s arrival and the time when you can open the car window to let your hair blow around? So are we. 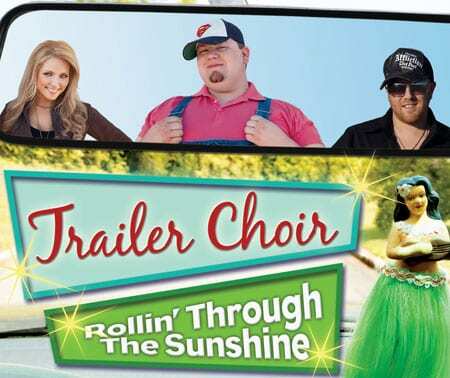 And Trailer Choir is here to help us all into the warmer seasons with “Rollin’ Through The Sunshine,” a little slice of joy that’s impacting radio right now. “This song is pure Trailer Choir,” says TC member Crystal. “Sometimes you need an escape and that’s what Trailer Choir is all about.” And helping to aid this escape are the natural benefits of hand surfing, Tom Petty, and a rum and coke.